Seven and a half years ago, at a retreat for a gathering of social justice fellows in Northern California, a lengthy discussion of -isms occurred. The premise was the fact that every human being has prejudices, biases, can come off as a bigot. At one point, I made the point that there’s a difference between bigotry and racism. The average bigoted person usually doesn’t have the ability to slander, libel or otherwise act on their bigotry in a way that discriminates against the person or a whole class of people who are the object of this individual’s bigotry. Afterward, a fellow insisted that all bigotry rose to the level of an -ism of some sort, no matter how little the power or influence the person harboring this bigotry possessed. In recent weeks, between the New Black Panther Party, FOX News, Ben Jealous and the NAACP, Shirley Sherrod, the USDA, the White House, the workplace shooting in Hartford, Connecticut, the radioactive issues around race and racism have reared their ugly heads. For a society forty-five years removed from the end of Jim Crow — and 146 years removed from the end of slavery — we’re still much in need of a Truth and Reconciliation Commission on race. But in order to have a real conversation on race, we need to understand that there are differences between race, racism and bigotry, that these words aren’t interchangeable. Take the term race. As defined by so many other scholars over the past 110 years — it’s a social construction based on skin and hair-deep differences between groups of people from various parts of the world. Not to mention the legacy of the Transatlantic Slave Trade and slavery in the Western Hemisphere. 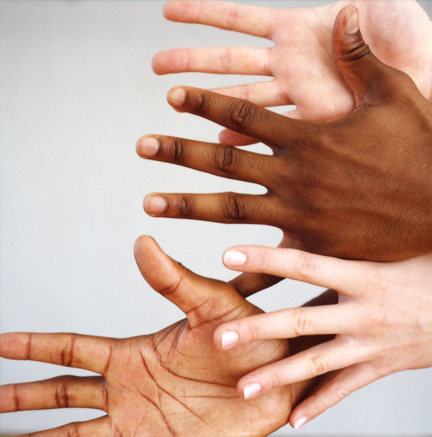 Saying that there are differences based on race between the incomes of Blacks, Whites, and Latinos, for instance, is merely a statement of fact, and not an implication that any individual or group is practicing racism. Nor does race make sense outside of cultural distinctions. Tens of millions of us are living proof that there’s only one human race, genetically speaking, that is. in words and deeds ideas and systems that either deliberately or inadvertently discriminate against other groups based on their race. It’s an expression of bigotry, but not just simply to acknowledge or enlighten oneself or others. 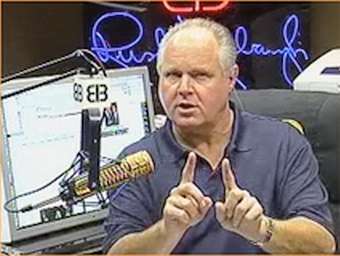 Rush Limbaugh’s spit-flying session on President Obama in the weeks before the ’08 Election — “It was all about RACE! It was all about RACE!” — is a good example of this. Limbaugh was arguing that Obama was winning the election because of racism. Specifically, reverse racism among African Americans and White guilt over racism among independents and progressives. Limbaugh all but kissed his microphone while hollering out of a rage that can only be described as racism. Anyone can express racism or be a racist. But where should we draw the line between bigotry and racism? I’ll use my mother as an example. She’s complained for thirty years how “all the jobs been taken by West Indians and Spanish people” in Mount Vernon and other parts of Westchester County. Well, working-class jobs, anyway. There’s no doubt that this is an expression of bigotry. But does this mean that my mother’s a racist? Hardly. For whatever it’s worth, my mother has worked with, gone to church with, and broken bread with folks regardless of their race or ethnicity, and not begrudgingly. Even with the authority to hire and fire thirty years ago, my mother worked to ensure that all under her supervision weren’t discriminated against. But while all of us have a smidgen of bigotry in our hearts and minds as occasionally expressed from our mouths, many of us aren’t racists or practicing racism. But a racist is without a doubt a bigot. So experience, intent, position in society, and race (not racism, not bigotry) are all involved in making someone’s words and deeds examples of racism, and that person a racist. These are subjective definitions, and I could be challenged and wrong. However, they’re based on twenty years of work as a writer, scholar, historian, professor, and forty years living in post-Civil Rights America. We need to start somewhere to have a real and serious discussion of race. Maybe this is it.